Netflix has gone global, but there might still be some shows that you want to access from the American version. ( South African Netflix only has about 11% of the shows available in the US ) Or maybe you don’t want to wait for the next season of your favourite series. With a VPN there’s an easy solution for this. 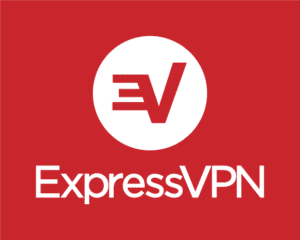 VPN stands for Virtual Private Network which means that your IP address and location is hidden or you are given a new one while browsing the web or connecting to the internet. The reason Netflix content differs from country to country, is because of licencing agreements between the suppliers and the specific country. When you pay for a VPN, you can access the shows not available yet in South Africa as Netflix does not know you are accessing it from South Africa. * = prices based on a 12 month package. When you register for Netflix in South Africa, the live streaming service will use your computer’s IP address to determine your location. The Internet Protocol address (IP) is a special number string that is separated by a series of full stops. It is unique to each device connected to the internet. This serial number is used to establish communication between your device and the network. The two main functions of it is to provide your device with identification on the network and to provide the network with your location. If you try to access the American or other international Netflix websites from South Africa, you won’t be able to log in. An error message will appear, informing you that the Netflix version is not available in your country. Most of the time you will be automatically redirected to the South African Netflix page. By using a special VPN that is generated for your device, you can access international Netflix sites. A VPN is a Virtual Private Network. The purpose of a VPN is to give you access to a private network and to allow you to securely share data on it remotely through public networks. VPN’s are also a handy way to access information that is available in another country. A VPN server works as the middleman between your device and the internet. Any online searches or applications will be rerouted via the VPN. This includes your Google searches, music apps, emails, games. And your Netflix video streaming. All the information is encrypted, making it the most secure connection to the internet you can have. The VPN servers do not have to be in your country to connect to it. This is why people use VPN’s to watch the American Netflix in South Africa. Your device’s new location will be registered using the VPN server’s location, changing the IP address to the virtual private network server location. If you choose to use a VPN server, you will gain access to other American services as well. With a VPN your device will no longer be geo-blocked. The services include Netflix, Hulu, Crackle, Pandora, CBS All Access, Amazon Instant Video, WWE Network, FXNow, and more. A VPN changes your IP address, and it also encrypts the network traffic as well. This means that you are safe from Transparent Proxies and DNS Hijacking. You can download a VPN app to assist you with setting up your VPN. It can be installed on your PC, Android, Mac, iPhone, and iPad. Most streaming devices are not compatible with a VPN because they don’t have VPN clients. These include Smart TVs, Blu-ray Players, Nexus Player, Xbox, Chromecast, Amazon Fire TV, Apple TV, and Roku. You can set up your VPN on a VPN-enabled router and then connect your device to it. You can use your computer to access the VPN and connect to Netflix and then use a HDMI cable and plug it into your TV. VPN’s redirect traffic through remote servers, so it will affect the browsing speed. It’s best to stick with a reliable VPN provider to ensure that you are viewing Netflix at the optimal speed. Check whether your VPN provider has a money back guarantee before activating it. The alternative option to watch American Netflix in South Africa, is using a Smart DNS proxy. This is a less secure option, but it can be easier to set up. To access the America Netflix site from South Africa, you must hide your IP address, basically masking your real location. Using a Smart DNS will allow you to effortlessly switch between the various Netflix versions. You use the same configuration to do this. Although it is less secure than a VPN, it does offer you better browsing speed. This is because the internet connection is not rerouted via a remote server. Most streaming devices are compatible with a Smart DNS. These include PC, Apple TV, Xbox, Nexus Player, Chromecast, Android, iPhone, or iPad. Your IP address does not change when you use a Smart DNS. It’s a type of server which you connect to that spoofs your IP location, enabling your device to access regional restricted content. The Domain Name System (DNS) settings is changed, creating the illusion of your device being in the correct location for restricted content. This works perfectly to watch American Netflix in South Africa. A DNS translates the URL you see, for example www.google.com, into the internet protocol (IP) address that a computer uses, turning it into 8.8.8.8. The DNS server runs from the Internet Service Provider (ISP) you use. A standard DNS server will choose a company server for the specific website you are trying to use which is closest to you, to increase the browsing speed. But this function can also be used to block you from accessing a certain site. The Smart DNS provides you with a way to work around this function. Instead of picking up the IP address from the closest local DNS server, it will connect your device to a DNS server that only appears to be local, but that can offer you access to blocked sites, such as the American Netflix. But it doesn’t permanently change your IP address in the way that a VPN does. In short, the biggest difference between the two services, is privacy. Both options can give you access to geo-restricted content. But a VPN will give you an encrypted (secure) internet connection, permanently change your IP address, and give you online privacy. If you are not highly concerned with online privacy, and only want to access geo-blocked content, then you can consider using a Smart DNS Proxy. Although, with the state of the internet at the moment, you should possibly be more concerned about online privacy. So you can use a Smart DNS service if you don’t care about online privacy. But you have to be very careful with your choice of provider. The problem with dodgy Smart DNS services, is that you are at risk of DNS hijacking. Without your knowledge, your online traffic redirects to fake websites. After you’ve entered a few passwords, you get hacked and all your personal data is exposed, ready for a cybercriminal to use. You need to be just as careful with your choice of VPN provider. With a VPN you are exposed to another hacking technique called a man-in-the-middle-attack. This is where you think you are interacting with a specific website, but before you reach it, a third party harvests your personal information. It’s crucial to use a reputable company for both VPN’s and Smart DNS proxies. Before choosing a company, do some thorough research by reading reviews and also making sure that you read through the company’s privacy policies. Are VPN’s and Smart DNS proxies legal? Yes, both are legal. 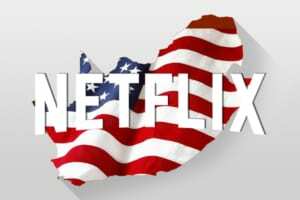 As long as you are not using them for any illegal activities, both are legitimate ways to watch American Netflix in South Africa.